COLE BAY–Nature Foundation has again issued a warning of a potential influx of Sargassum seaweed invasion the coming weeks and months. The foundation has been coordinating and monitoring efforts with regional partners and, based on weather predictions and aerial surveys, a significant amount of the seaweed is headed in this general vicinity. 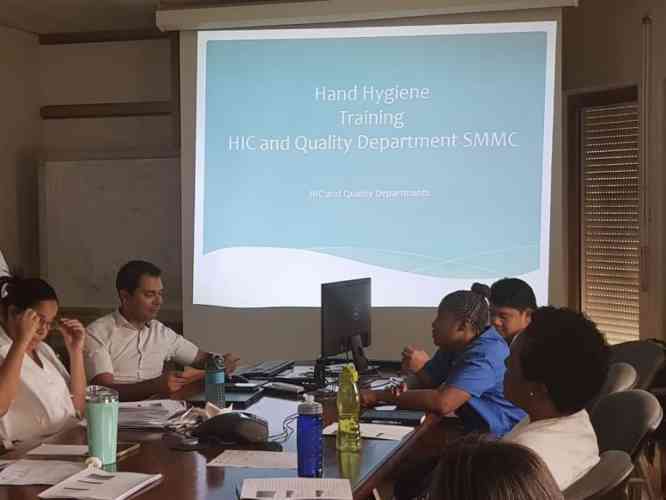 “In the case of an influx we need to find a way to coordinate the removal of the seaweed with heavy loaders, which causes serious risks to nesting sea turtles and hatchlings, while the algae itself can be a hazard to the animals,” said foundation Manager Tadzio Bervoets. Economically speaking, seagrass can have a serious effect on the islands’ beaches. As soon as the grass is cleared it is deposited back on the beach by the wind and currents. “We will continue to work towards researching the effects of the grass and some possible solutions, but at this point St. Maarten, like many islands in the Caribbean, is being heavily impacted,” said Bervoets. Sargassum is a genus of brown (class Phaeophyceae) seaweed which is distributed throughout the temperate and tropical oceans of the world. 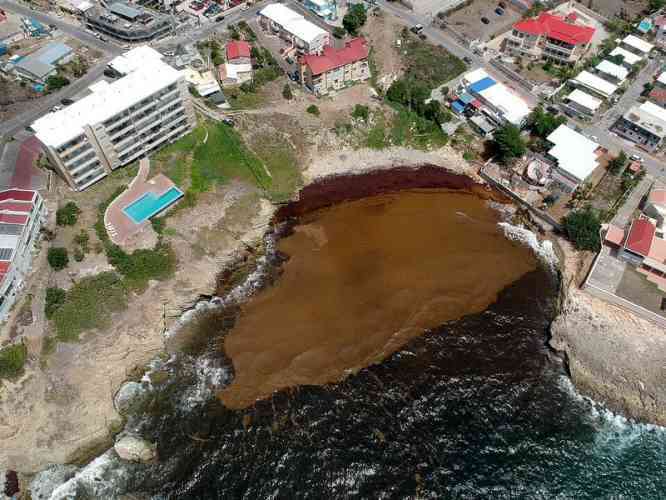 Sargassum first plagued St. Maarten in 2011 and 2012, with the foundation having to warn swimmers to avoid swimming on certain beaches due to the large amount of Sargassum weed and many beachfront residences and hotels having to continuously clean washed-up Sargassum. Next articleILO to launch global report on employment and social trends.